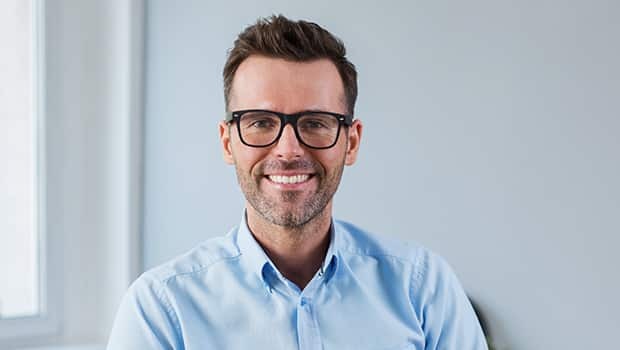 Andrew Knight New Canaan is a professional web developer based in New Canaan, Connecticut and has seen tremendous success in building websites for various clients. Before starting as a solo entrepreneur, he has worked with various firms to gain experience and knowledge. For several years, he has committed his time and energy to helping local businesses develop their online presence and modernize their client base. So we got a chance to know him better and asked him some questions about what makes Andrew Knight New Canaan unique. Can you tell us about your first job? My first job was working in retail at a local Connecticut clothing store. I was in a position where I needed some funds to help pay for my schooling and this was a good opportunity to work while I went to school. It helped me to learn how a business can work and understand the challenges that traditional brick-and-mortar locations are facing as industry shifts online. What made you decide to get into this industry? I got into being a front-end developer on my 2nd job where in I started creating websites using CMS, like Drupal. This was the first job that gave me a chance to put my schooling to the test, and it was a humbling experience to work with people who had been in the industry for years. I learned a great deal from their experience and knowledge. This environment is what motivated me to strike out on my own and start my own business. I wanted the chance to work for myself and help the next generation of developers the same way my former coworkers had helped me. My motivation comes from seeing firsthand how my work affects my clients. This is the type of job where you have a real meaningful impact on the businesses you interact with, so I regularly check in with old clients and am constantly reminded of the impact my work has had for them. Simple creating a responsive website to empower a business to sell their good online has helped save numerous local businesses. These are people who otherwise would have gone out of business relying on the old methods of foot traffic and newspaper ads. It’s motivating to know I’m a big part of why these businesses are still around. What are some exciting new trends in your industry? When the internet was young, everything relied entirely on coding and spending hours designing even the simplest of web pages. As time goes on, more and more complex design processes are being simplified and distributed through various formats like the WordPress platform and its numerous plugins. What’s exciting to me is that as more tools become available like this, it allows websites to become faster and more responsive. I no longer have to spend a month coding basic design elements and I can instead focus on the more complex aspects that I often wouldn’t have the time or budget to delve into. I think that the only true measure of my success is the success of my client companies. If my website doesn’t help my customers reach a broader audience and revitalize their business, I consider it a failure. That’s why I’m proud to report that I have managed to see positive results for each and every client I’ve worked with over the years. That’s a level of success that I think really sets my firm apart and I’m very proud of that distinction. Can you provide any advice or suggestions to the next generation of entrepreneurs? Don’t be afraid of failure! A failure should not be the end of the road, but rather a learning experience. Take it in stride, analyze why you failed, and apply that lesson going forward to make sure it never happens again. Only through learning from your failures can you ensure long term success.